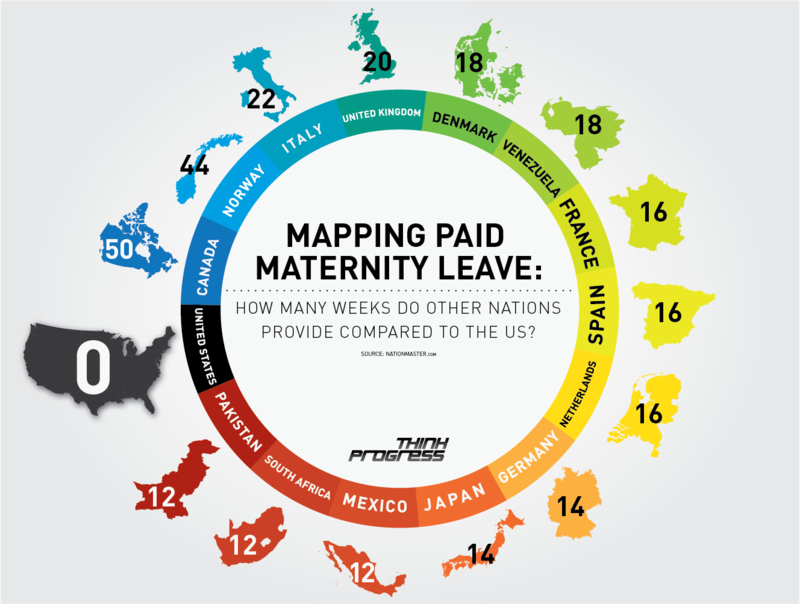 According to National Geographic, paid maternity leave in common throughout the world. The news source states that paid maternity leave for childbirth is federal policy in 34 out of the 35 nations that are members of the Organization for Economic Co-operation and Development. The hold-out country is the United States.